Annie Duflo is responsible for leading the strategic directions of IPA, the implementation of its strategic plan and the day to day operations. Previously, Annie served as IPA’s Research Director where she managed IPA’s research network, staff capacity-building, and new project development. She also played a key role in the scaling up of successful programs with particular focus on education. Annie has a wealth of experience implementing and managing randomized evaluations in the field. 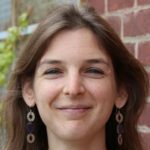 Prior to joining IPA, Annie was the Executive Director of the Centre for Microfinance (CMF) at the Institute for Financial Management and Research (IFMR) in Chennai, India, which she joined at its creation. Annie holds a Master of Public Administration and International Development degree from Harvard University’s John F. Kennedy School of Government and Master in Social Sciences from EHESS (Ecole des Hautes Etudes en Sciences Sociales)/ ENS (Ecole Normale Supérieure) in Paris.